A match made in heaven, Gillette's precise and comfortable Venus Razor combined with Olay's expertise in skin nourishment. Olay Moisture Bars release skin conditioners to boost your shave and help lock in skin's moisture for less dryness while 5 Venus blades get close to the skin for a smooth shave. Fits all Venus razor handles. 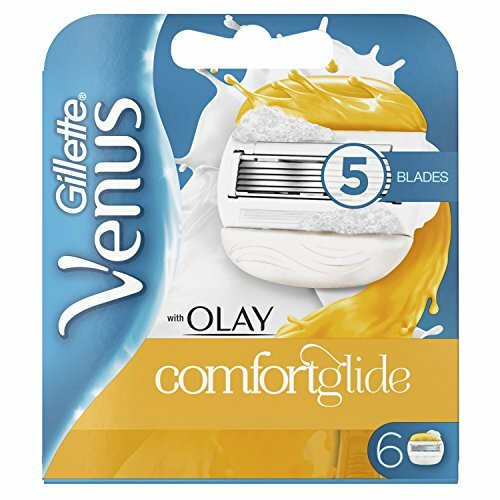 This pack contains 6 replacement blade cartridges for your existing Venus Razor.